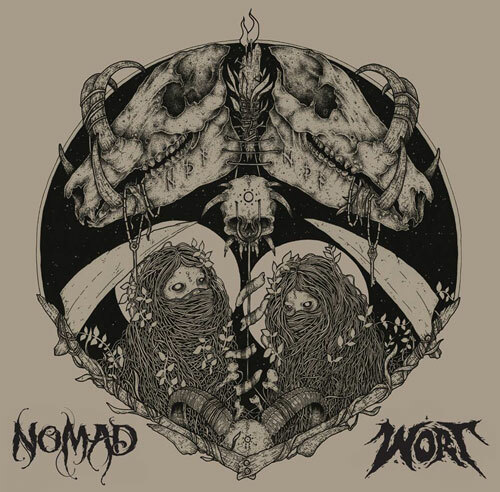 Mancunian sludge quartet NOMAD have teamed up with fellow northern worshippers of the riff WORT to produce a split released via Red Valley Records, featuring 3 songs from each band, its available now on CD and Digital Download from the Red Valley Records webstore. A four piece sludge band from Manchester, NOMAD released their debut EP The House Is Dead Via When Planets Collide last year. During their short existence they have shared the stage with bands such as Church Of Misery, Bongripper, Raging Speedhorn and “Conan. 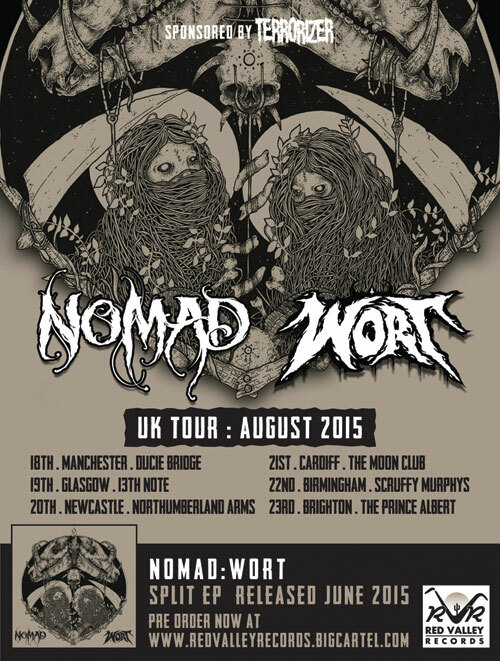 A three piece sludge/doom band from Huddersfield. 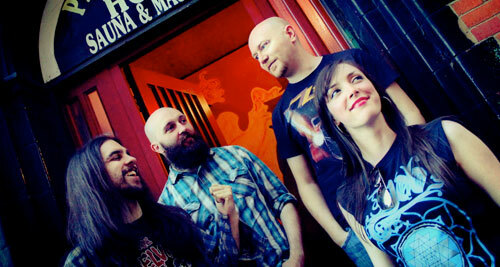 WORT formed in 2012 from the ashes of previous Huddersfield band POISON DWARF. In 2012 they recorded and released demo EP Wort’s N’All!. 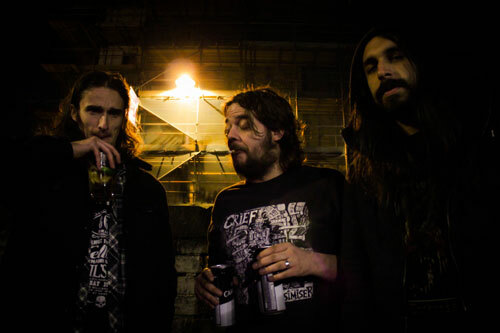 After playing gigs with many of their peers and influences such as Sourvien and Bongripper , they recorded and released their follow up EP Not Your Cup Of Tea via When planets Collide.